steevosig has no other items for sale. Details about Fisher-Price Imaginext Spongebob Chummy Patty Catapult IN HAND! 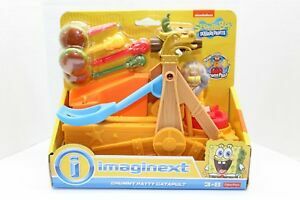 Fisher-Price Imaginext Spongebob Chummy Patty Catapult IN HAND! $3.97 shipping for each additional eligible item you buy from steevosig, when you use the cart to make your purchase.